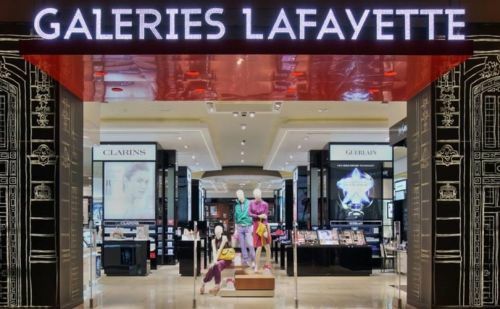 French department store Galeries Lafayette has ambitious expansion plans for its presence in China: The iconic department store chain is planning to open around ten new stores in China by 2025 and achieve revenues of one billion euros . France," said Nicolas Houze, chief executive officer of Galeries Lafayette and French concept store BHV Marais, according to China Daily . PARIS - When Galeries Lafayette revealed in 2014 it planned to take over the lease of the former Virgin Megastore on Avenue des Champs-Elysées, it could not have predicted that the opening of its new flagship would coincide with the most violent protests the city has seen in 50 years.